Online education has made it easier to get a music degree or nursing degree. Learning online has enabled many people to get a better education. If you know how to surf the Internet, then you have knowledge at your fingertips. It is no longer necessary to travel long distances and sacrifice work and family in order to expand your skill set and your knowledge. You can get a degree online or in a hybrid arrangement that allows you to do most of your studies on the Internet while you visit a campus for hands-on training. Consider these examples. A bachelor degree in paralegal studies can get you into the legal world without having to acquire training in law. Paralegals do most of the research and prepare cases for lawyers. The only thing that a paralegal cannot do is represent clients in court. Thanks to the Internet, you can now do much of the class work and reading online. You do not have to lose time traveling to a campus and sitting in a classroom. The Internet can bring all the resources you need to study into your home or any where with access to the online world. A music degree is a good example of a course of study that can benefit from a hybrid approach to distance learning. You will need to study theory. There is no need to take that class on a campus. Instead, you could easily listen to music samples and evaluate them online. Other classes may require you to play instruments or participate with your instructor in musical performance. By allowing the flexibility which distance learning offers, instructors can adapt courses to meet the needs of students of all kinds. This is especially true for those beginning a second career or simply trying to get a degree that they always wished they had. Some degrees, such as a nursing degree, require a lot of hands-on training. However, even a nursing degree has prerequisites which include a lot of reading and writing. 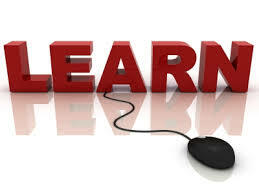 These courses are ideal candidates for distance learning and online education. Eventually, in a course of study that required hands on experience such as a nursing degree, you will need work on campus or at another specified location. That does not mean, though, that the online world has lost all use for you. No matter how much time is spent on campus, the Internet is always a valuable resource to have. Even courses which require daily meetings in a classroom can profit from using the technology that makes distance learning possible. Students can save money by purchasing electronic textbooks and bringing them to their classes on laptop computers. Instructors now have access to any video or audio presentation that they think will be helpful to their classes. Whether you want a paralegal degree, a music degree or a nursing degree, you will find the Internet to be helpful. It can offer mountains of valuable information. It can also make it possible for you to enhance your knowledge without having to give up your job.